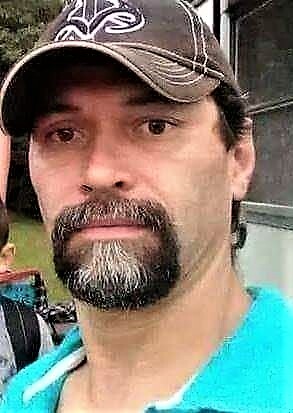 Roy Lee Vanslyke age 37, of Broken Bow, Oklahoma passed from this life on Friday, November 30, 2018 in Glenwood, Arkansas. Roy was born on May 24, 1981 to Roy Don and Anita Vanslyke. 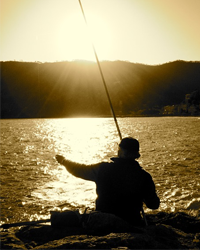 He enjoyed hunting, fishing, looking for arrow heads, loved spending time with family and friends, and loved to eat. He was a loving and caring father. His memory will be forever in the hearts of all who knew and loved him. Roy is preceded in death by his grandparents, Roy Edward Vanslyke and Mildred Benbow; and great grandparents, Elmer and Cora Lee Colley. His memory will be forever cherished by his father, Roy Don Vanslyke and wife, Tammy of DeKalb, Texas, mother, Anita Colley and James Treat of Broken Bow, Oklahoma; children, Kamden Bowline of Broken Bow, Oklahoma, Connor Vanslyke of Idabel, Oklahoma; sisters Dawn Dollar and husband, Brad of Broken Bow, Oklahoma, Dana Kuykendall and husband, Melvin of Glover, Oklahoma; brothers, Jimmy Don Vanslyke and wife Corey of Broken Bow, Oklahoma, Chris Parker and Haleigh of Longview, Texas, Codie Bagley and Nate of DeKalb, Texas and a special friend Geniva Flowers of Idabel, Oklahoma. A visitation for family and friends will be held on Friday, December 7, 2018 from 12:00 to 2:00 P.M. at Bunch-Singleton Funeral Home of Broken Bow, Oklahoma in the chapel. A Celebration of Life Service will be held at 2:00 P.M on Friday, December 7, 2018 at Bunch-Singleton Funeral Home of Broken Bow, Oklahoma in the chapel with Bro. Jimmy Jeter officiating.